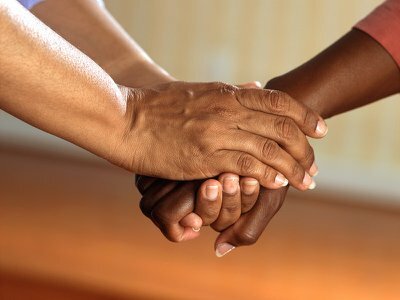 If you’ll be missing someone you loved this Christmas – or thinking about someone who has been bereaved, here are 10 Christmas memorial gift ideas and gestures to make someone’s memory a special part of how you mark the day. Include the memory of someone you love on your Christmas tree. 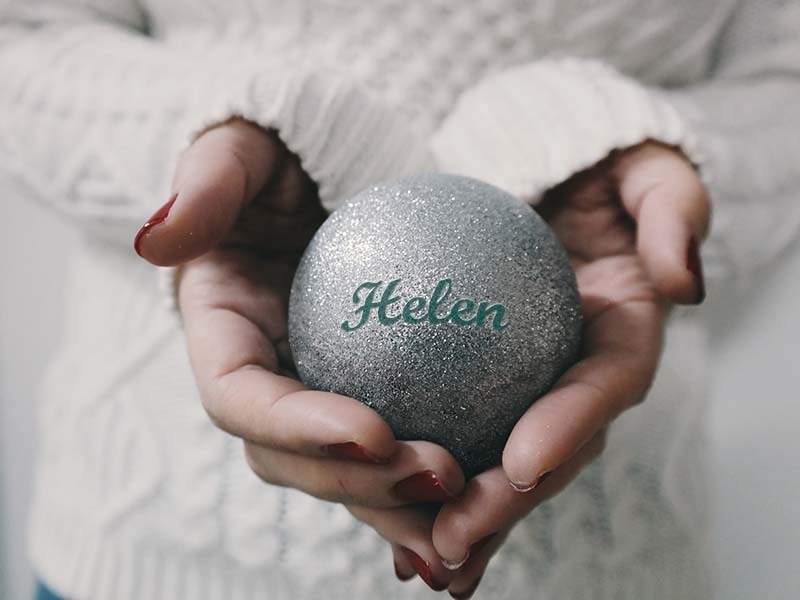 There are lots of lovely memorial Christmas baubles online – from Christmas in Heaven themed angel decorations, to memorial baubles that open for you to place a special message or prayer inside. Or why not decorate plain shop-bought baubles with motifs or messages in your loved one’s memory? A memorial bauble decorating session could be a family activity and opportunity to talk about the person who has died. It’s not unusual for weddings and other family celebrations to reserve a seat for someone who is loved and missed. 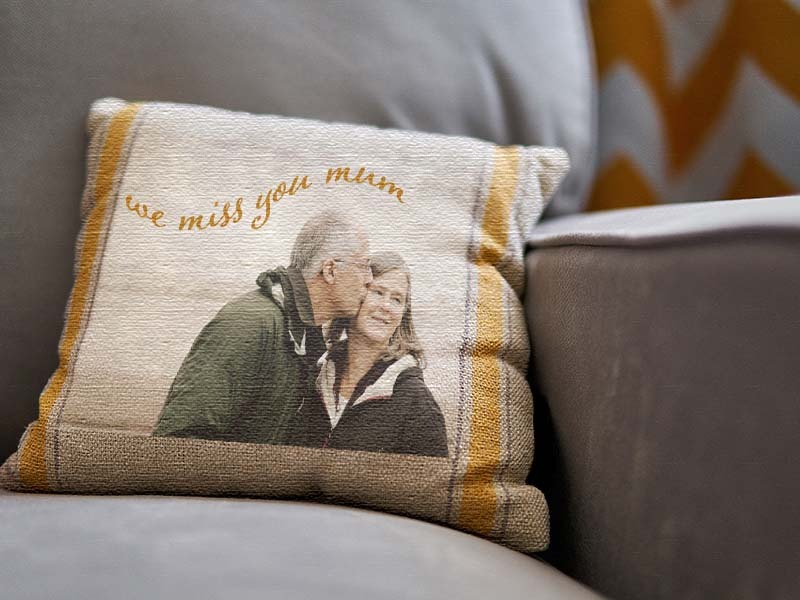 One way to mark someone’s place at a family Christmas is with a cushion; there are lots of Christmas in Heaven themed cushions to buy and place on their favourite chair. For a Christmas memorial idea with a truly personal touch, a favourite garment could be upcycled into a memory cushion, or teddy to cuddle. You can find patterns and crafting kits to make your own, while a number of specialists also make them to order. 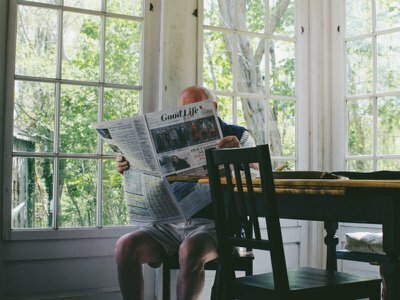 Whether your loved one told the corniest jokes, or came out with sayings you’ll always associate with them, their quips and ‘isms’ could bring back warm memories around the table this Christmas. 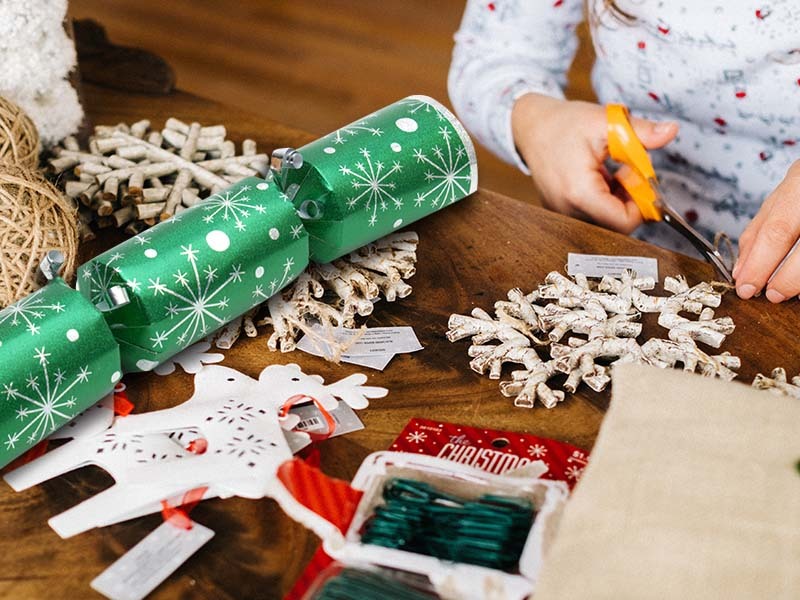 DIY crackers are a lovely way to include happy memories at Christmas, with make-at-home kits available in shops. Alternatively, you could invite everyone to write down the joke or saying they best associate with someone, with everyone around the table taking turns to pull one out of a hat and read it aloud. 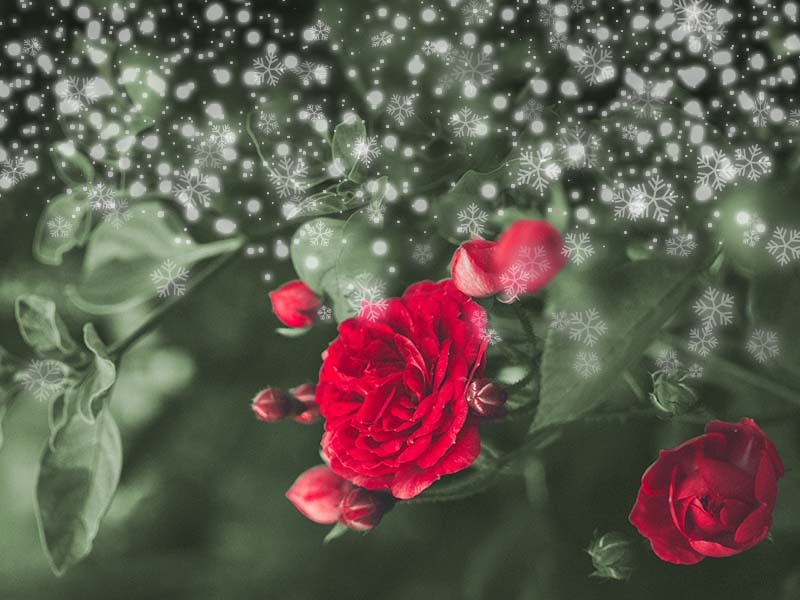 Although they bloom in spring and summer, winter is often the best time to choose and plant roses – and there are lots of lovely remembrance roses that could be a lovely Christmas memorial gift. Some growers also offer exclusive roses that can be named after someone special. Food is a token of remembrance across many cultures, from setting a place for someone at the dinner table, to laying offerings on a grave or shrine. A donation to a food bank in someone’s name could be a thoughtful Christmas memorial idea. 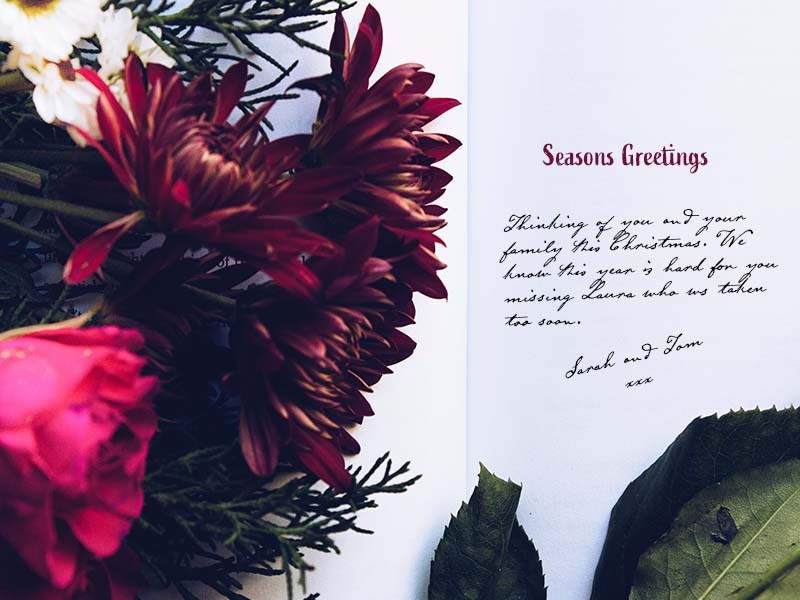 If you’re sending a Christmas card to someone who has been bereaved, it’s thoughtful to acknowledge how you’ll also be thinking about the person who has died. 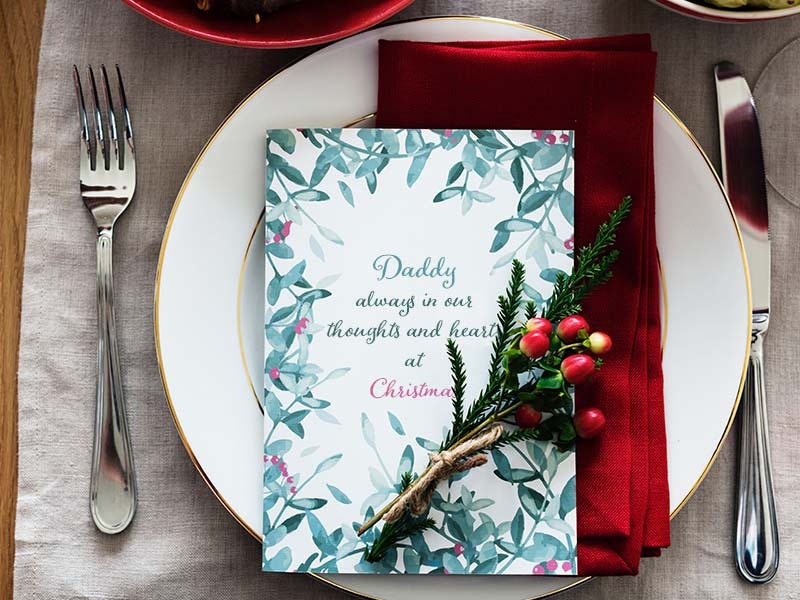 The Compassionate Friends, which supports people who have lost a child of any age, says that Christmas can be an especially difficult time for parents, when cards arrive without the name of the person who made their family complete. Don’t be afraid to include … and thinking of... on a card you post this Christmas. 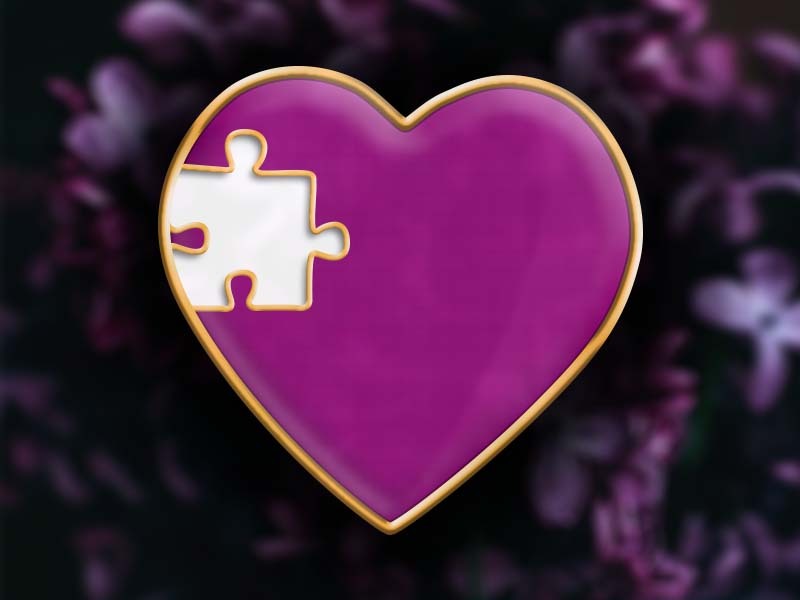 This heart shaped badge has been designed for bereaved parents and other family members to mark the life of a child who has died. Part of a campaign called Our Missing Peace, it’s an outward symbol of loss for those who would like other people to be less afraid to talk about a much-missed child who has died. A loved one’s voice could be part of a special Christmas memorial gift for someone. If you have a recording of them speaking or singing, a talking teddy bear is one option to consider. 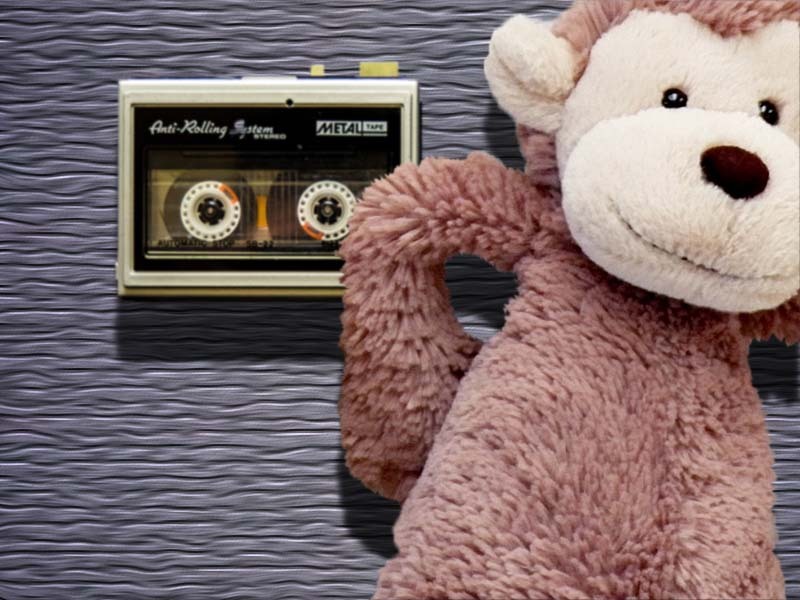 You can buy stuffed toys with push-button recorders, as well as the simple recording devices needed to make your own memory bear, or to customise a favourite teddy. These should be able to pick up someone’s pre-recorded voice from an old voicemail or home movie. For many families, Christmas wouldn’t be Christmas without visiting a loved one’s grave and laying flowers, or perhaps a winter walk around the special place where their ashes were scattered. 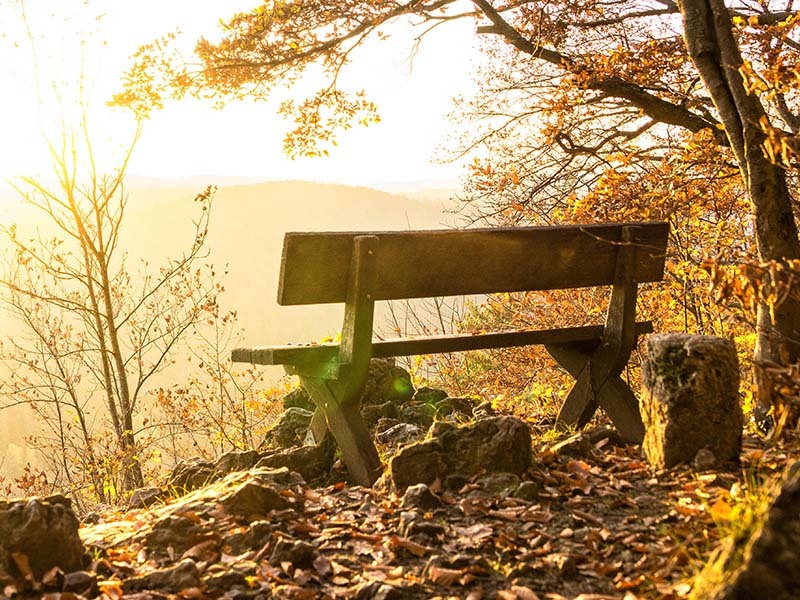 Beauty spots, woodlands and parks are among other places where you can establish a legacy in a loved one’s name and mark it with a plaque. A thoughtful gift idea for someone who has been bereaved, or a way to dedicate a special place and make a visit part of a new Christmas tradition. 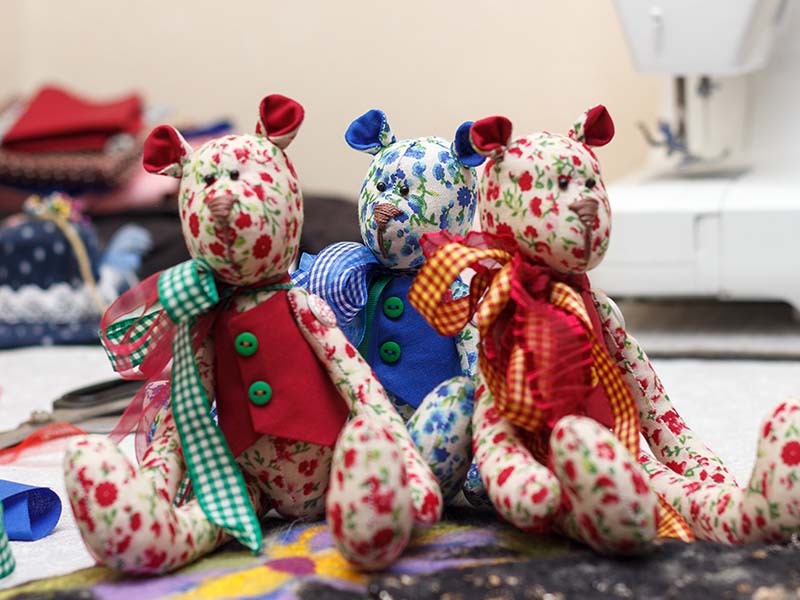 Turn a well-loved shirt or a special garment into something to cuddle and keep – from a traditional quilt to a memory bear. 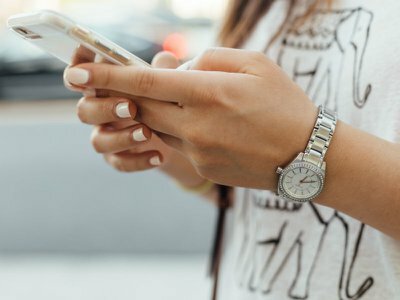 There are many sewing patterns to be found online that could make a thoughtful Christmas present, while if you’re not handy with needle and thread, crafters and specialist makers can make items to order.